Finally today the birds were chirping, the sun was shining, and I even caught a glimpse of something green in the distance. Everyone was happy too which is a rarity in these parts. Any day now I'm ready to wake up to spring here to stay. And the bustle of summer to be back... Most people start planning a trip to the Cape...visiting friends in Hyannis perhaps? 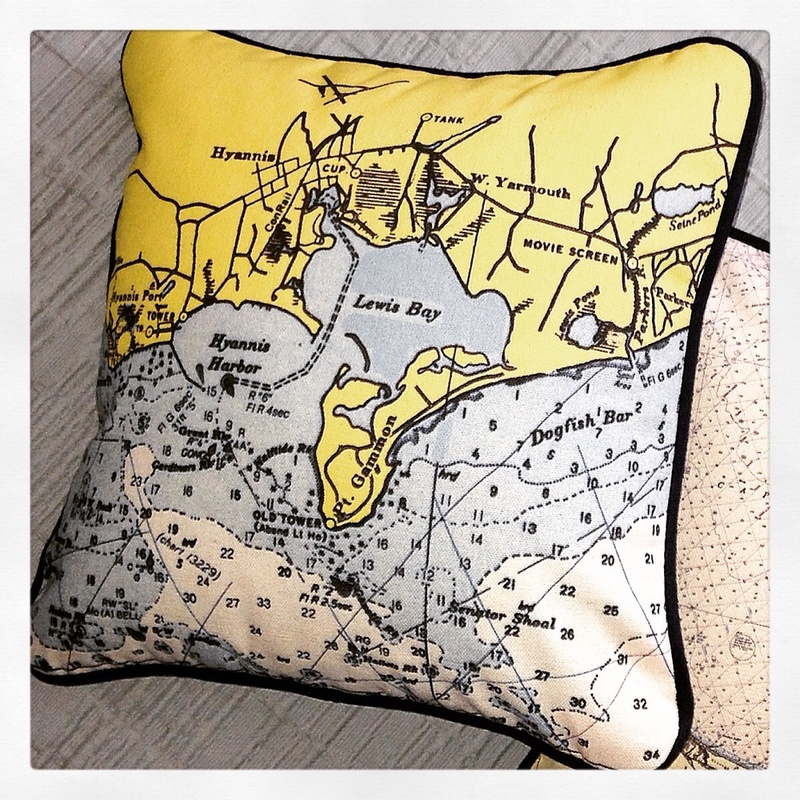 If so, here's the perfect gift: a custom chart pillow.